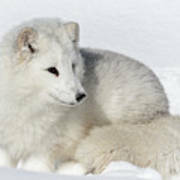 The Arctic fox is found in the Arctic regions and is adapted to the cold environments of the tundra. 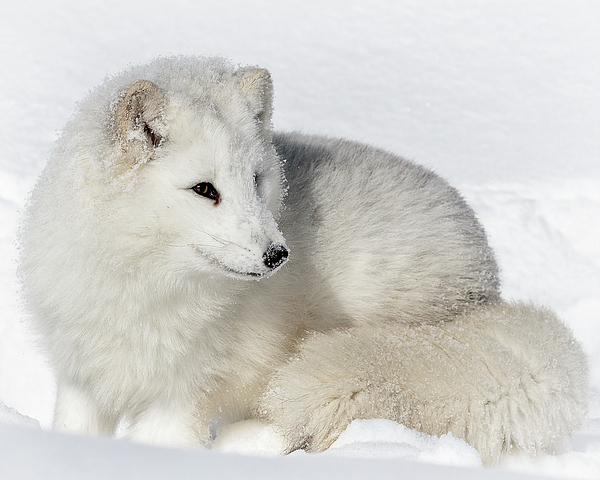 It is also known as the white fox, polar fox, or snow fox. 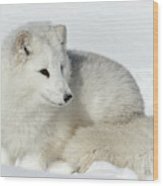 It is a small fox with a deep thick fur which is brown in summer and white in winter. Its body length is between18 to 27 inches with a rounded body shape to minimize the escape of body heat. They hunt and eat small creatures like lemmings, voles, ringed seal pups, fish, waterfowl, and seabirds. They will also eat carrion, berries, seaweed, insects, and other small invertebrates.